The octubpus creates a beautiful, compelling and relaxing form. 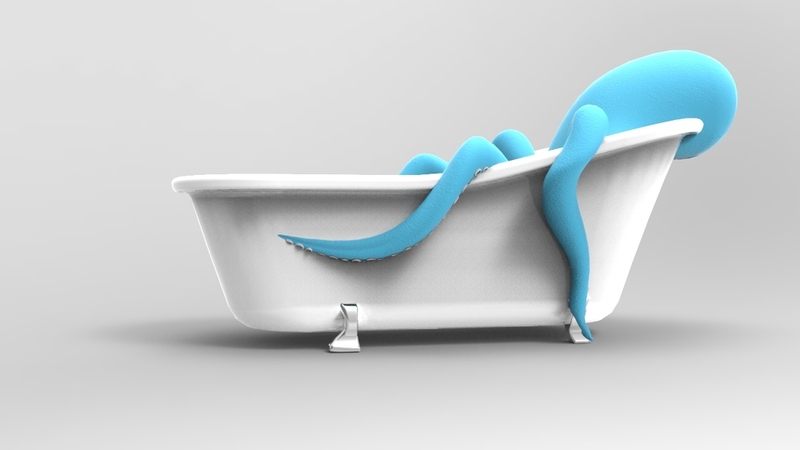 In addition to its aesthetic presence, octubpus’s numerous functions engineer an entirely new bathing experience. The foundation of the design is a traditional porcelain bathtub. 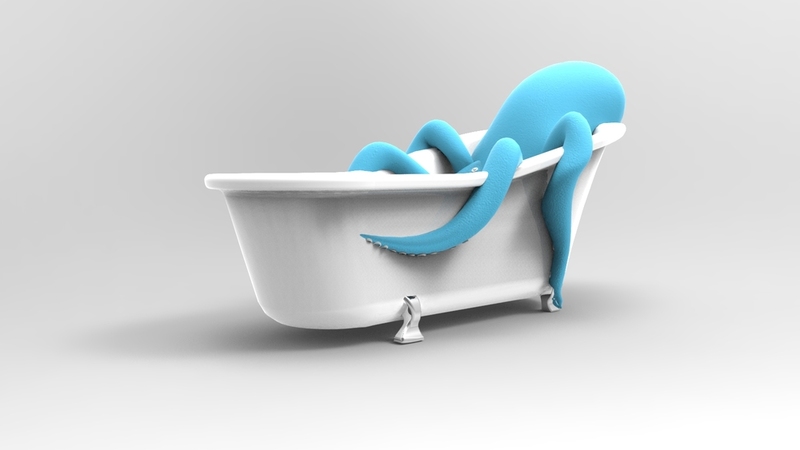 The playful octopus form juxtaposes the traditional tub creating a playful modern aesthetic. The flexible foam material has a cushioning effect that puts bathers at ease and allows them to remain comfortable throughout a long soak. Tentacles that line the inside keep the user snug and comfortably positioned. The up-right positioning enables the user to enjoy a book or a nice glass of wine as they relax. Hot water jets that line the inside tentacles and back rest provide additional relaxing sensations and circulate warm water. This circulation ensures that the water is never tepid and the effect on the body is calming and stress relieving. The model was created and rendered in SolidWorks and KeyShot.